Tree Top Adventure Baguio is your one-stop zip line adventure stop. If you are in the city of Baguio with your family and kids and are looking for a place to have an adventure, then Tree Top Adventure will fit yours perfectly. From canopy ride to superman ride to silver surfer to interactive freefall to tree drop adventure to trekking adventure to skywalk to canopy and funicular ride, there are a different range of activities to choose from. Though the adventures are a bit extreme, the safety measures are on par. How popular is Tree Top Adventure Baguio? People normally club together Chalet Baguio and Philippine Military Academy while planning their visit to Tree Top Adventure Baguio. Fun and enjoyable activities offered. Well organized and worth the price. 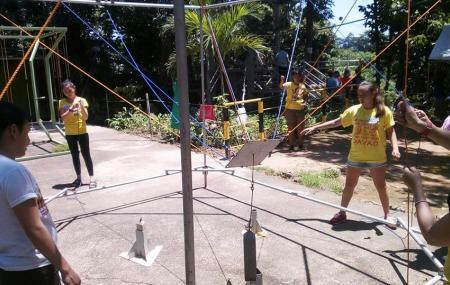 It gives older kids something to look forward to when visiting Camp John Hay! Friendly staff. I think the only issue I have was that it's a bit pricey. But everything is good. Will recommend. It was the venue for my nephew's wedding and the first time I've been to this part of Baguio City. I'm one of the Filipino people who could be proud of this particular place for any party or get-together or any activity you name it. It's an adorable place which I've witnessed seeing it from top and looking down below I was amazed. I even dreamed of having the place for my party in future in God's will. Just take note of having a good caterer company to cater all your needs and up to your standard then everything will be perfect.